Setting off on their first ever cycling holiday, Tom and Gillian didn’t quite know what to expect! 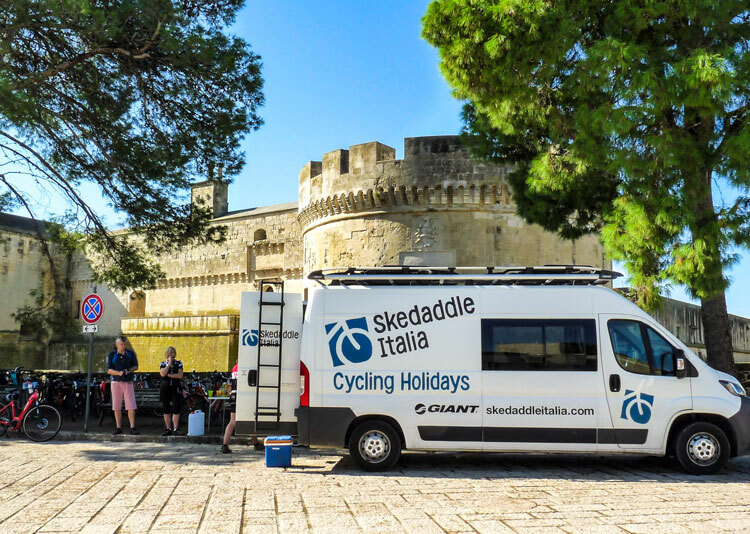 Luckily they came to the right place, and with the expert guidance of our team they were able to pick out the trip that was a right fit for them – a guided leisure cycling holiday in Puglia, Italy. They had such an amazing time that Tom wrote in with this Customer Competition entry that made him our second winner of 2019! ‘Although we keep fit and enjoy the odd day out on our bikes sticking to quiet roads and cycle paths, my wife and I don’t consider ourselves to be cyclists. We were looking for an active holiday but were unsure if we could cope with a week’s cycle tour. However, the team at Skedaddle were great and, as we live locally, invited us down to look at the profiles of a couple of the holidays that we thought we would enjoy. So it was, with their encouragement, that some 12 months later we found ourselves on a plane to Bari and about to embark on our first ever cycling holiday in Puglia, the “heel” of Italy. After being acquainted with our bikes, our guides and the rest of the group, our holiday started with a guided tour of the beautiful baroque city of Lecce, followed by wonderful food and wine in a local restaurant. This set the pattern for the week – every overnight stay was in a beautiful location (does every Italian town have a delightful, historic centre?) and every day we were treated to delicious meals and excellent local wines! We left Lecce and were soon cycling through the Puglian countryside and heading for the coast. As with every day to come, the cycling was punctuated by stops to take in the views and explore the sites, and, of course, for snacks and lunches put together by our trio of local guides. The Skedaddle website’s description of “picnic-style lunches” does not do justice to the spread that we were treated to on a daily basis! The next day was the toughest from a cycling viewpoint as we discovered what is meant by a “cheeky climb”, but great views of the Adriatic coast made it worth the effort as did a dip in the sea at our destination for that night at the very tip of Italy. From then on, we were in the routine – cycle through beautiful countryside, stop and eat, cycle a bit more then explore a local town or beauty spot, cycle, eat, view, explore, cycle, eat, drink, sleep – perfect! 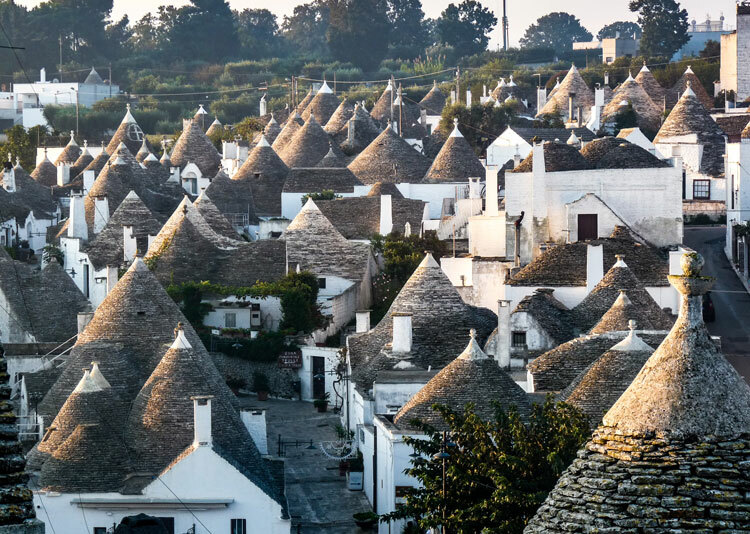 It was hard to pick out a favourite day or place as everywhere had something to offer, but the countryside after leaving Gallipoli was just how I imagine Italy and I have never seen anywhere quite like Alberobello – the Trulli town is truly amazing! I would also like to compliment our local guides – not just for keeping us together, keeping us safe and keeping us fed and watered throughout, but for their good humour, knowledge and evident love of their region that shone through and helped make it a very enjoyable week. Read more Customer Stories here! Feeling inspired? 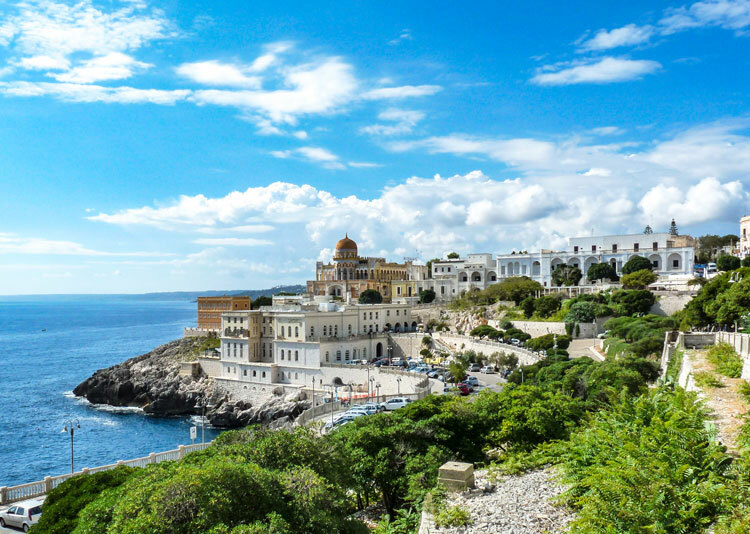 Tom joined us on our guided leisure holiday of Puglia, Italy and we also have a self-guided version for those who fancy doing it at their own pace. We also have a self-guided and guided road cycling versions of this holiday, so anyone can experience the ‘boot’ of Italy their way. Three of these holidays also visit Matera – this year’s European Capital of Culture and a must see of the region! Find out more about Matera here.